Licensed General Contractor. E. D. Enterprises, Inc. remains a leader in custom cabinetry installation and interior remodeling along Chicago's North Shore and suburbs. Family owned and operated by Edward Schultz since 1980 serving the North Shore. A large percentage of business continues to result from satisfied customer referrals. 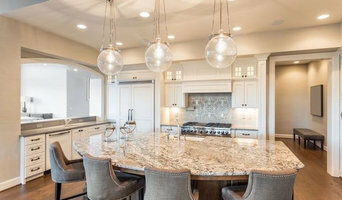 Many Kitchen & Bathroom suppliers, and Interior Designers recommend E. D. Enterprises, Inc. with their focus on: craftsmanship, trustworthy customer relations, the customer's budget, and tight project scheduling. 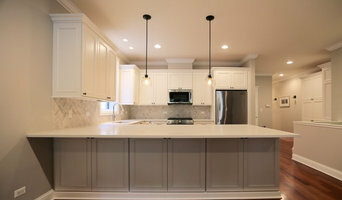 A-1 PAM Home Remodeling, Inc.
A-1 PAM is an affordable Greater Chicago Area based home remodeling company responding to our client needs quickly and competitively. We pride ourselves in working hard to make sure that your home remodeling project is a success providing quality craftsmanship, working around your schedule and completing the project on time and also within your budget. With every remodeling project the focus is on your satisfaction! We work for you. This means that we do everything we can to assure your full satisfaction: every home remodeling job is done in a professional manner, on time, the materials are always of the kind and quality you specified, and the craftsmanship is superb. We assure the best workmanship by constantly training our staff and by hiring professionals with solid knowledge, skills and experience. This is the secret of the best and most reliable home remodeling company. Design & Construction Firm With Focus On Serving High Quality Demanding Clients. We Renovate and Build New Bathrooms, Kitchens and New Homes. We Build and Install Our Own Custom Cabinetry, Mill-work & Furniture. Masters Kitchen and Bath is a family owned business with a rich 30 year tradition of European craftsmanship. We provide complete Kitchen and Bathroom remodeling services from design to completion. With over a decade serving our U.S. clients, our focus is on quality materials, Old World craftsmanship, and complete client satisfaction. We offer free in home consultation, design drawings, 3D renderings, and the services of an NKBA certified kitchen and bath designer to help make each selection. Our beautifully appointed showrooms offer an opportunity to see all of the elements for your project under one roof. Quality, craftsmanship, convenience, and security; let Masters Kitchen and Bath show you how reasonable it can be to get it all. Indigo Remodeling provides premiere levels of remodeling services to the entirety of the Chicago, Illinois metropolitan region. Our unique approach to renovation services accommodate the specific requests and needs of each of our customers; upon consultation, one of our renovation experts will prepare a detailed schematic plan and timetable for the remodeling project, which can be reviewed and tweaked before work is commenced. We’re dedicated to achieving the 100% satisfaction of each one of our customers, which is why we make sure to collaborate with our clients on each step of the remodeling process to ensure that the work is meeting, and exceeding their expectations. Whether you require a simple, small scale renovation project for a specific room like a kitchen or bathroom, or a full scale home renovation including services such as tiling, painting, flooring, caulking, and basement renovations - Indigo Remodeling is here to assist. We specialize in specific fields such as sink remodeling, backsplashes, plumbing fixtures, mold resistance, leak repair, lighting, insulation, and electrical work - as well as providing expert renovation of decorative fixtures, meeting our client’s specific aesthetic goals for their homes. Our workmen have the years of necessary experience in the field to provide the utmost efficient, courteous, and professional service available anywhere. General Remodeling, spaces involving kitchens, bathrooms, basement, rooms, additions or a full house remodel project we are here to work with you. Attention to detail, the communication is key and our forte. With over 10 years of experience we strive for business excellence and good reputation. Looking always to improve and grow with every project at a time, the craftsmanship developed and expertise lead to a satisfaction in the end from our clients of how we handle the project from start to finish. Let us build your next ideal room space. Enjoy where you live! North Shore's Premier General Contractor - Best of Houzz 2015-2019! 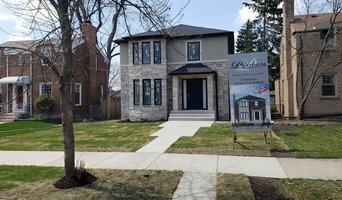 Recognized as one of Chicago’s premier building and remodeling contractors, New Explode Construction specializes in residential remodeling, as well as custom home and commercial construction and renovation. The company prides itself in its strong contingent of quality subcontractors, suppliers, and specialists and in the fact that it is consistently on-time and on-budget. Attention to detail, organization, and professionalism are N.E.C.s hallmarks, regardless of whether the project is large or small and are the reasons why N.E.C. projects consistently pass inspection the first time – a claim that very few construction companies can make. For more than eight years, we have been changing and inspiring lives and fulfilling dreams by building and renovating Chicago homes and businesses. Along the way, we’ve cultivated strong personal relationships and built trust because of our company’s exceptional craftsmanship, assured use of advanced materials and technologies, and our philosophy of socially responsible building practices. Listening to and communicating with our clients is the starting point of every project. We focus on keeping clients aware of the progress at every stage and strive to maintain open and honest communication for the duration of the project. Our team of professional planners, designers, and carpenters is available to help our clients from the beginning and until the customer’s needs are completely satisfied. Only then do we consider the work finished. We provide full-service design and remodeling services. I can help you with your remodeling needs anywhere in the Chicago area. I can also provide kitchen design only, if you already have a contractor. Floorplans and 3D renderings from 20/20 design and multiple meetings to get the kitchen layout exactly how you want it. We build beautiful spaces that fit your lifestyle and are within budget. Welcome Home, North Shore. We are a home remodeling construction company. There's no doubt that we love what we do! We tend to focus on bathroom, kitchens, and basements. However, feel free to reach out to us about any type of project and let's see what we can do to turn your dreams into a reality! We take great pride in our work and strive to provide the highest quality at a reasonable rate. We aren't looking to take advantage or get rich off of you. We want to establish a great relationship that is long term with you, your friends, and your families! Here at HX2 Contractors, we promise to do whatever it takes to make sure you're informed and happy before, during, and after the construction process. Acorn Kitchen & Bath, Inc. Awarded "BEST OF HOUZZ" 7 years in a row which is EVERY year since they joined in 2013! These 34 year Senior Kitchen/Structural Designers specialize in kitchens between $30K-$100K. They consistently design 90 kitchens per year on average (many years well over 150 kitchens!). They've designed thousands of kitchens and contract in the high 7 figures annually. We only get to see about 10% of their projects on Houzz yet they show over 1,100 pics in their "projects" area. Over 10,000 of their pics had already been saved by Homeowners as of DECEMBER 2016! They're the only male-female design team in the 3 states they cover. Contact their Illinois offices at (847) 693-1149 or their Michigan office at (269) 308-3322. John & Brigitte have over 20 major name brand cabinet lines to choose from which are offered from the various kitchen dealers they use to fit each client's specific location, scope of work and budget. They have total expertise to design and build full structural from below-grade foundation plans and related mechanicals through full 2-story additions. This expertise allows them to look at a new kitchen design from a totally unique perspective. They think "out-of-the-box" and will present their clients with designs beyond the scope of basic kitchen designers. 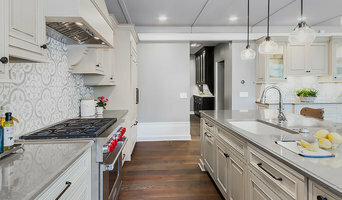 Chicago Elite Kitchen & Bath Designer & Remodeler - 6x BEST OF HOUZZ! Nail It Innovations, Inc., is a member of the National Association of the Remodeling Industry (NARI). We are a remodeling company specializing in home improvement projects such as bathrooms, kitchens, and basement remodeling as well as custom woodworking. We provide quality craftsmanship on schedule and within a 'no nonsense' budget. Customer service is our top priority.